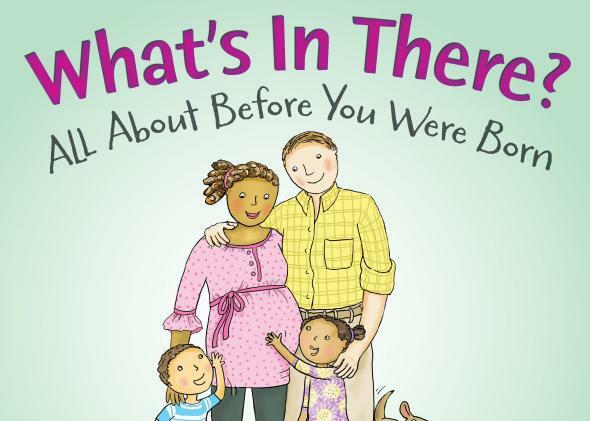 Best science picture books of 2013, including one that explains that babies don't grow in mommy's tummy. From bones to engines to mechanical fish, this year was good to children’s scientific imaginations. I wrote in October about Bone by Bone, a brilliant picture book that asks kids to wonder what their bodies would look like with different configurations of bones, and in the process lays the groundwork for sophisticated ideas about evolution. Bone by Bone remains a top pick for the year, along with the gems below, all of which nurture the substratum of wonder that can pave the way for later scientific thinking. How the Meteorite Got to the Museum by Jessie Hartland. Objects in museums are often presented matter-of-factly, as if they’ve always been there. But this book charts a meteor’s course as it sails from outer space, over Kentucky, Virginia, and Pennsylvania, until it crashes into a Chevy Malibu in Peekskill, New York. From there, it connects the people who deal with the meteorite—from those kids are already enchanted with, like firefighters and police officers, to those they will come to know, like the geologist, the curator and the cosmologist—all rendered in cartoon whimsy. What’s In There? By Robie Harris. Illustrated by Nadine Bernard Westcott. Early on, a girl in green rain boots explains: the baby “did NOT grow in her mommy’s tummy. She grew in her mommy’s uterus.” In this introduction to pregnancy that is as charming as it is anatomically-correct, the story of an expectant family is interwoven with playful, cutaway drawings of the growing fetus—first the size of an apple seed, then a peach, then finally a sweet, swaddled bundle named Jake. Locomotive by Brian Floca. This excellent entry in the “train book” genre presents children with the inner workings of a 19th century locomotive, from the coal to the pistons to the rods, as it makes its way westward. The meticulous drawings articulate the ambition, sweat and wonder that produced this era of innovation. Some strokes are steady and referential; others are fast to convey motion and speed. Together they flow like a love letter to old-fashioned engineering. Papa’s Mechanical Fish by Candace Fleming. Pictures by Boris Kulikov. Based loosely on Lodner Phillips, a 19th century inventor who experimented with submarine design, the father in this tale tinkers with collapsible coat hangers and steam-powered roller-skates, until setting his mind to making a mechanical fish. He creates one unsuccessful vessel after another, returning each time to his workshop with exuberant focus to try again. Rather than idealizing the engineer, the book teaches that invention is an iterative process—and that high-tech fish don’t come without failure.